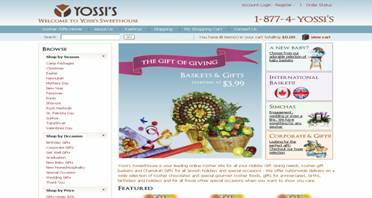 Yossi’s is a local business in Brooklyn, NY, with locations in Boro Park. After repeated requests from its customers, they decided to launch a web store. As a result, they have gone from being famous locally to being well known nationally.The website features an easy-to-use administration interface so that revisions can be made anytime to content as needed.It also allows website administrator to change prices,details and quantities of baskets.